For the last several years, seniors in Social Studies faculty member Michal Kwiecień’s Topics in Modern World History: Human Rights and Genocide course examine cultural experiences of genocide and displacement in modern world history. Through readings and discussions, students analyze and discuss the behavior and perspectives of perpetrators, victims, and bystanders while seeking to understand the nature of these modern “events” and their significance for contemporary global politics. Dr. Kwiecień is teaching his students to be curious, to understand, to draw connections and conclusions. The capstone experience of the course is the Mass Crimes Documentary Project. Working in groups of three or four, students create a documentary film, 12-20 minutes in length, on a specific mass crime in modern world history including genocides, ethnic cleansing campaigns, forced migrations, deportations, mass killings, kidnappings and exploitations. After selecting their topic, students conduct in-depth research utilizing primary and secondary sources. This year, several groups interviewed victims of more recent crimes who are living in the St. Louis area. Each group submits a thoroughly researched, narrative script and storyboard for review before beginning their film. To be successful, a film must meet several criteria including: a persuasive thesis, clear identification of the main historical actors, (victims, perpetrators, bystanders/witnesses), an explanation as to why the mass crime occurred, how the perpetrators justified it, and how the international community reacted or did not react to it. In her role as classroom and curriculum consultant, Ashley Hastey, Whitfield’s instructional technology coordinator guided students as they incorporated a STEAM component into their projects. Such components included designing and printing 3D artifacts or models of monuments or commemoration sites to raise consciousness of a particular crime. Other students analyzed the impact of engineering or technology including how facilities and cities were designed to contain and incarcerate people. The completed documentaries were presented by each group to an audience of their peers, faculty and staff. 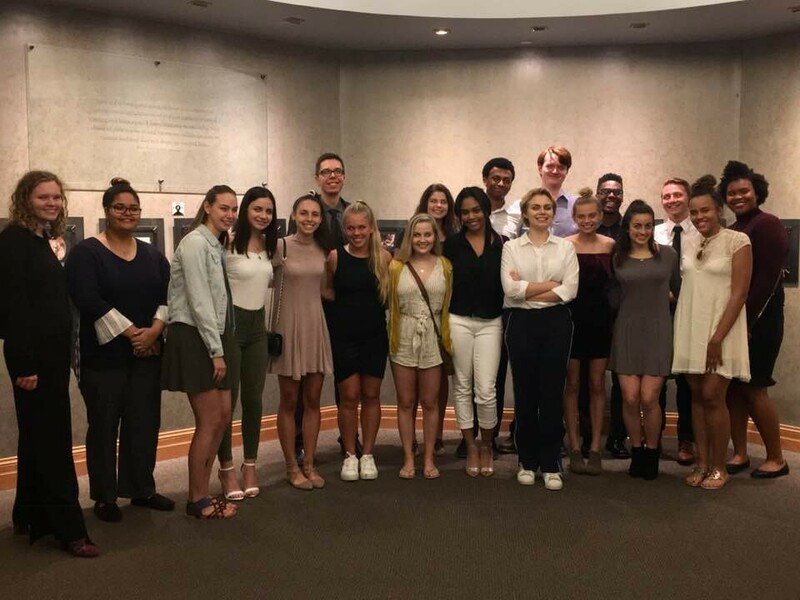 In addition, the films were evaluated by a panel of faculty and five group-finalists were selected to present their projects at the St. Louis Holocaust Museum and Learning Center on May 9, 2018. “I am always particularly impressed with the seniors’ commitment to using their documentaries as a vehicle to communicate a message of healing, acceptance, reconciliation, and genocide prevention,” said Dr. Kwiecień.